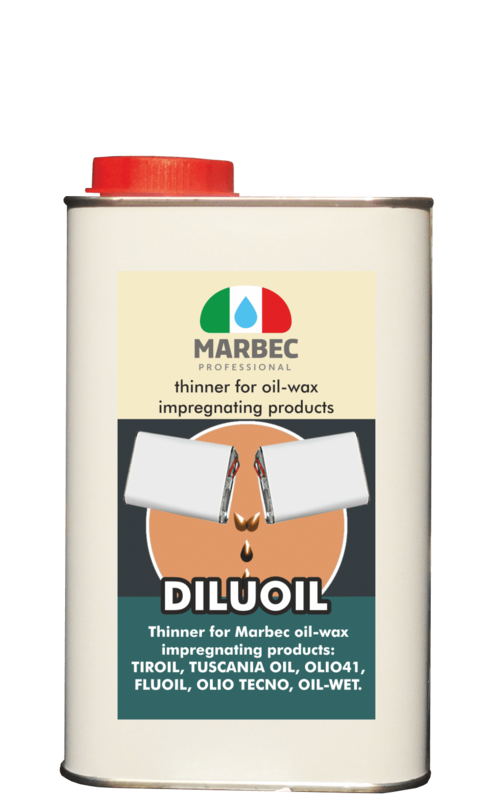 Thinner for Marbec oil-wax impregnating products: TIROIL, TUSCANIA OIL, OLIO41, FLUOIL, OLIO TECNO, OIL-WET. 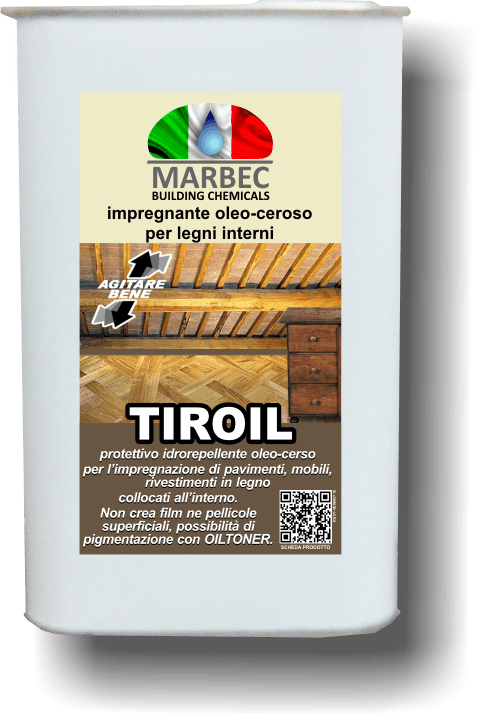 DILUOIL is a solvent for the dilution of oleo-wax impregnating products and facilitating their absorption in low-porous materials..
✔ does not leave halos and does not stain the wood essence. as a diluent it can be used in all concentrations. 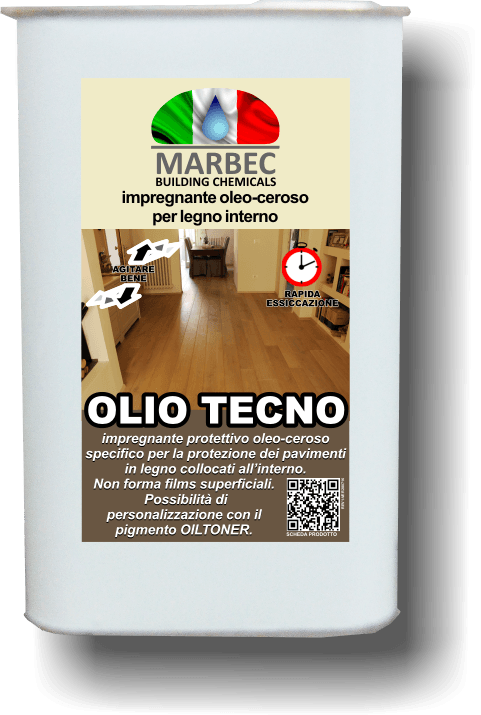 In extraordinary cleaning, spread DILUOIL on the surface and let it work for a few minutes. Rub the surface with a monobrush equipped with a medium-hard disk, pad or rag. 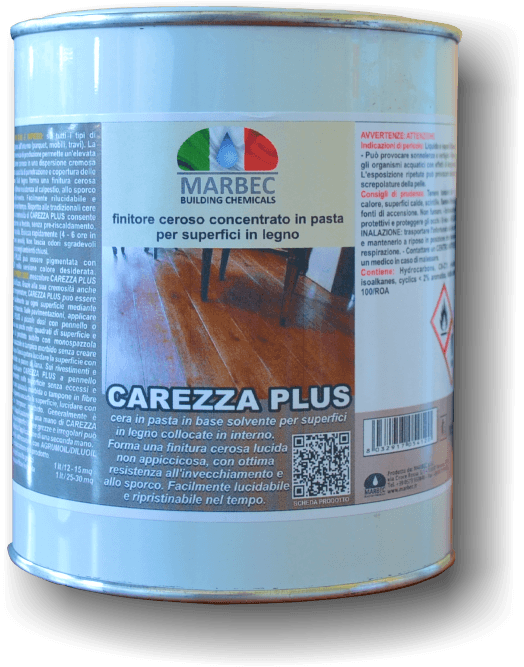 Remove and collect residues. 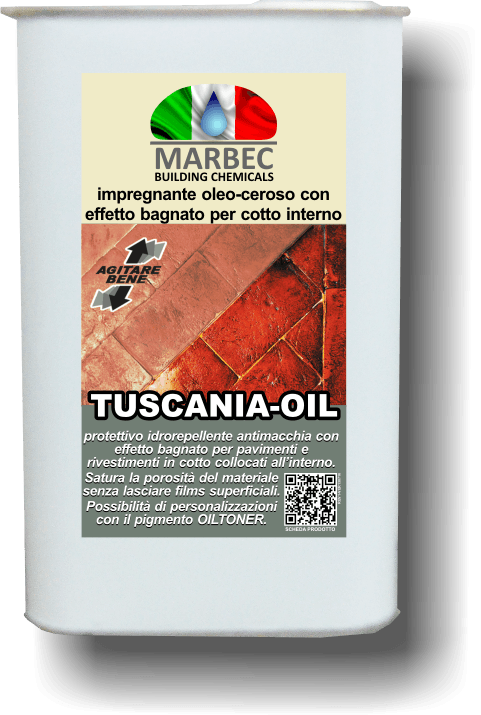 Clean the surface with a clean cloth wetted with DILUOIL. 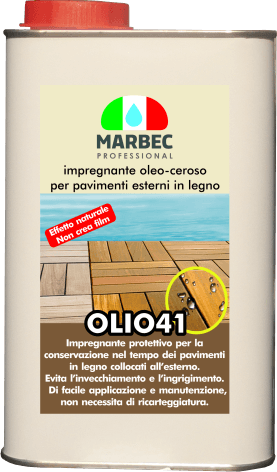 • OIL WET Impregnator with wet effect for stone materials.